Discussion in 'In the News' started by Frank Sanoica, Jul 31, 2018. "The town of Blandford in western Massachusetts has a population of about 1,200 people, served by a four-person police force. As of Monday night, there were zero town police officers working to serve them. A mass resignation of Blandford's entire police department, led by Interim Police Chief Roberta Sarnacki, occurred after they claim they endured unsafe working conditions. "We regret leaving the town without a town police force," Sarnacki and her three officers said in a statement, "but we have no choice given the situation we face." Blandford residents are still able to call 911 in an emergency, and can contact Massachusetts State Police for other concerns. "We maintain our commitment to the town and will assume any additional duties required in the wake of the resignations of local officers. 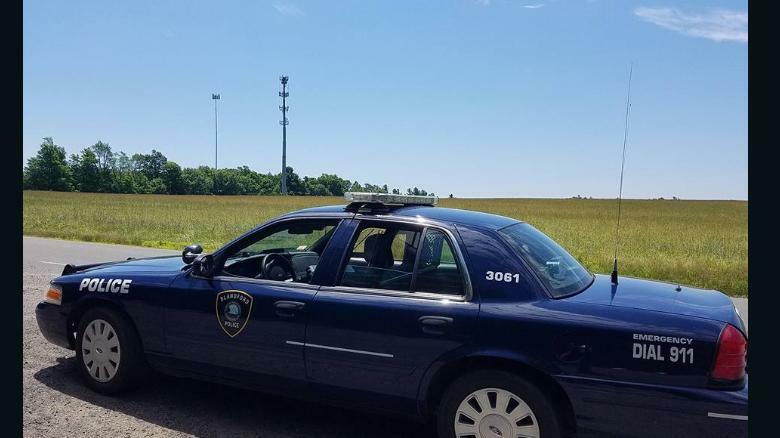 The residents of Blandford may be assured that the State Police will continue to protect their community," the state police said in a statement Tuesday. Blandford's police officers claimed their working situation had become untenable. They cited wages of $14-$15 an hour among other grievances, including radios that don't work and poorly fitting or expired bulletproof vests. The officers also complained that their best car, a secondhand 2010 Ford Crown Victoria, does not have air conditioning and that its seat is stuck in a reclining position. "Officers look pretty ridiculous patrolling with sweat dripping down their face and seated in such a position that one would use to take a nap," their statement said. The officers allege their department has been neglected as the town pursues a merger with a nearby police department in the town of Chester. "We refuse to put our lives on the line anymore for a town that seemingly cares so little about us," they said. Sarnacki did not respond to CNN's requests for additional comment. Cara Letendre, Blandford's selectwoman, told CNN that the police department had not brought these concerns to the town's elected officials. She added that the police car was already being fixed and is back in the lot as of Tuesday and that no decision had yet been made on a merger with any nearby police department. The town's officials may even decide to dissolve the entire department, as around 90 percent of Blandford's police calls are dealt with by Massachusetts State Police, Letendre said. "We grew up not locking doors," she said, explaining that Blandford is a very rural town with little crime. Letendre said Blandford is faced with a challenge of how to sustain their municipal services. "It's an issue that a lot of small towns are having," she said, noting that the budget for their police force hovers around $47,000. Blandford's elected leaders are looking to fill Sarnacki's former role on or before September 1, Interim Town Administrator Joshua Garcia told CNN Tuesday." Not every town needs a police department but if they have one, it should be maintained.